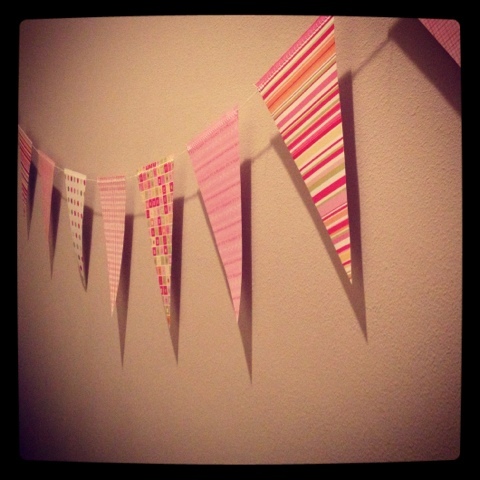 Need party decorations and short on time? I whipped this up in 30 minutes or less, for my cousin's baby shower. These are also really cute in a baby nursery. 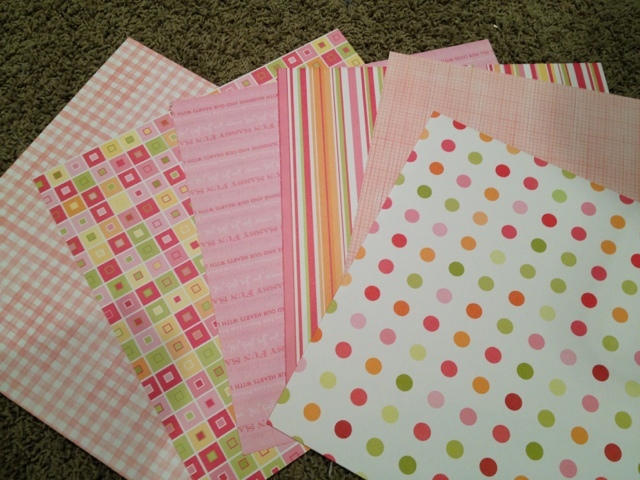 Start with a selection of coordinating scrapbooking paper. 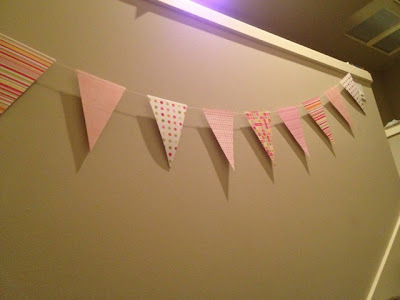 For one-sided paper bunting flags, you can get two flags from one square sheet. Create a pattern out of a piece of scrap cardboard. Draw a line down the center. Then measure an equal distance out from one end of the line and mark two points which will be the corners of your triangle. 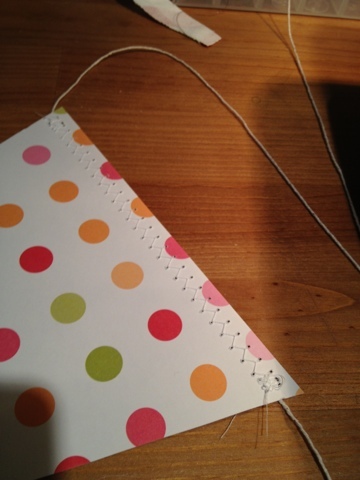 Draw lines to connect the points to the other end of your line. Cut out the triangle. Place your triangle on the paper. 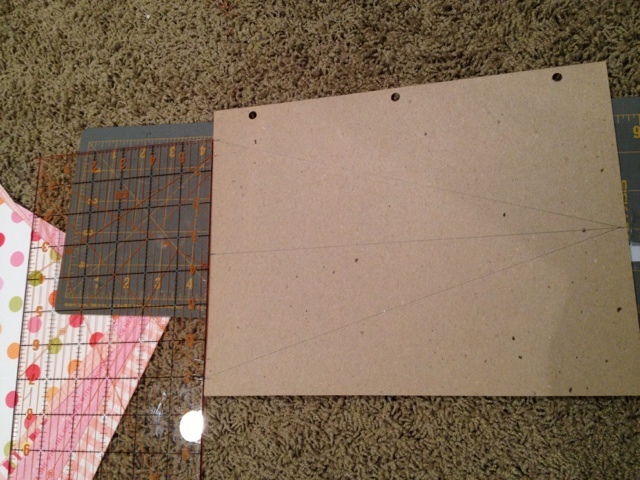 You can position the base of the triangle against the edge of the paper. 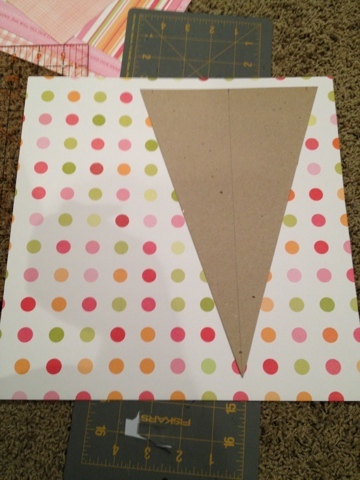 Use a roller cutter and mat to quickly cut the triangle out. 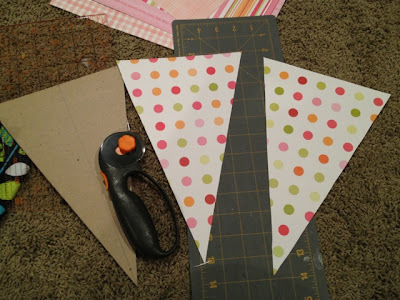 Flip your pattern piece and cut a second triangle from the same sheet. Repeat for all of your sheets of paper - you can cut 2 or 3 sheets at the same time to go faster. I used 6 sheets of paper for 12 total flags. 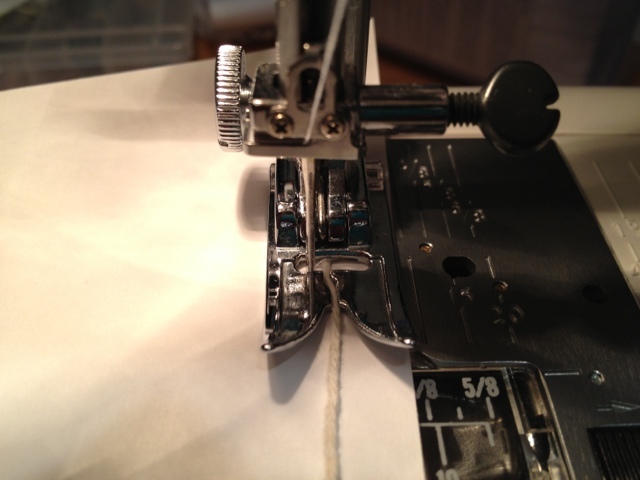 You need string and a sewing machine for this part. 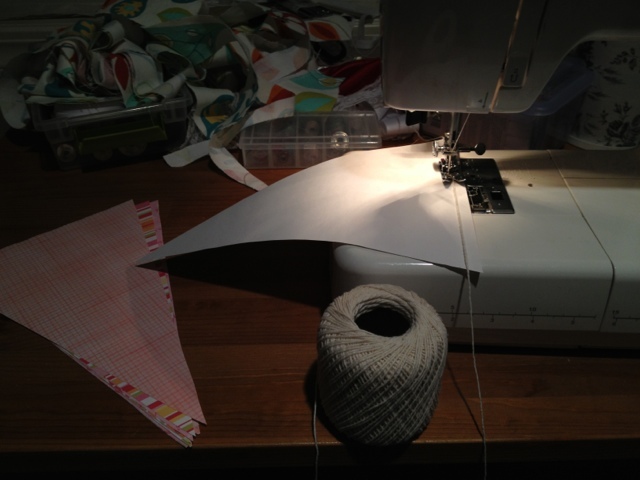 Place your first flag pattern-side down. Using the widest zig-zag stitch and a length of about 3, stitch along the top edge of the triangle, keeping the string under the zig-zag so your stitches land on either side. When you finish, the flag will look like this. Stitch the rest of the flags in a row, leaving a couple of inches between each flag. When you are done, string them up and party on!